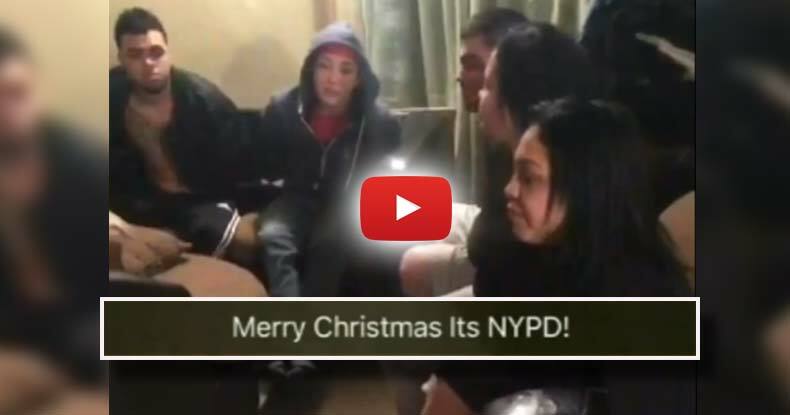 New York, NY — NYPD police officers just raided the wrong home and then posted photos of the innocent family in handcuffs to Snapchat. Police claim that they were searching for a suspect in the apartment and had a warrant. However, the family does not know nor do they have any connection with the suspect. It is not clear why their house was targetted, and the NYPD has refused to answer any questions about the incident. While the name of the officer and his squad was not released by the NYPD, it was confirmed that the officer was identified within the department and suspended without pay. Kimberly Santiago, one of the victims of the raid, ended up calling 911 after the experience, and then filing a report with the police department. “Y’all know that when you came to this house, looking for the wrong person that we don’t even know. We thought he was texting on his phone. Because the whole three hours we were sitting here, he was the one standing there. We saw him on his phone, but we didn’t think an officer would do that,” she explained. The family sat in handcuffs for three hours as police ransacked their house searching for the supposed suspect, and anything else that could justify their search and possibly land and arrest. Resident Eric Almendarez told the New York Post that the officers entered the home in full force, with guns drawn. “It was horrible. They broke down the door and shoved a gun in my face and told me not to look up. How are we supposed to get over that?” he said.